A small dog wanders up and down a congested Cartagena street looking for scraps of food while dodging misguided human attackers. Her color is unrecognizable because her fur no longer grows through the mange that covers her body. You can see dozens of ticks eating her bare skin causing aches in her joints, making her journey that more difficult. On a daily basis she endures avoiding racing cars, swift kicks, and scalding pots of water being thrown at her in her pursuit for food. This is the sad reality of the street animals of Cartagena, Colombia. Without sufficient animal sanctuaries, education, and services, such as spaying and neutering, this vicious cycle continues with each generation. Cartagena Paws is a volunteer based 501(c)(3) not-for-profit organization dedicated to the rescue of injured, abused and abandoned street animals of Cartagena. We provide these abused animals with food, shelter, and medical treatment. Our ultimate goal is to find each and every one of them a loving and permanent home. Our mission is to change the lives of animals in Cartagena by changing the culture of animal abuse and neglect present in and around the city. Our mission statement can be broken down into three simple parts. One; providing safe homes in Colombia and the world. We have successfully adopted out over 140 dogs and cats within the United States and Canada in just the past 4 years. Two; our capture, spay/neuter, vaccinate, and release programs. These small campaigns will be implemented within communities with high populations of stray animals in an effort to substantially decrease the need for future spaying and neutering and reduce the horrible cases of starvation and neglect that so many of the animals here in Cartagena are currently undergoing. Lastly, the third most important component of our mission statement is education. As many of our Cartagena Paws Team Members are educators and counselors, we understand very well the importance of educating the community about animal rights and awareness in order to help diminish the animal abuse, neglect, and illegal trafficking of exotic animals that is currently taking place in Cartagena. Now that you know a little about us, we would like to fill you in on our future goals and show you how you can make our dream happen. 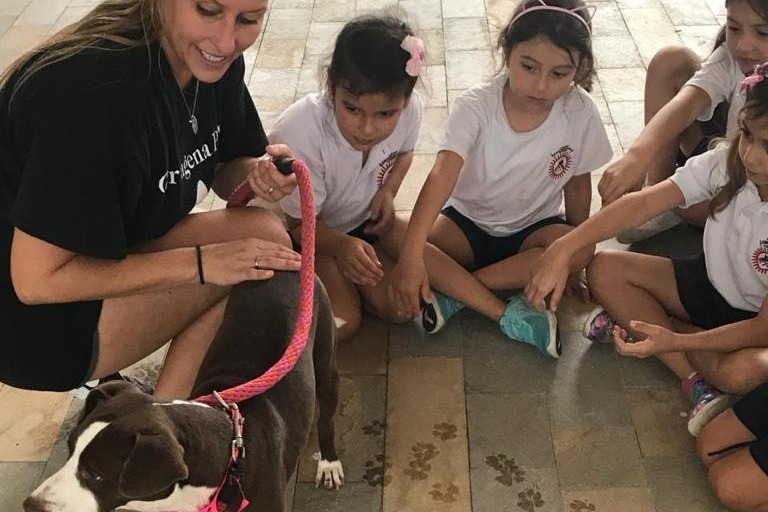 Cartagena Paws wants to take our mission to the next level and secure an area of land in order to set up a small educational-based animal rescue center. In our rescue center, animals will be loved, cared for and safe from the horrors they once knew. They will have the opportunity to receive necessary treatments and professionally monitored recovery periods before national or international adoption occurs. Additionally, the rescue center will conduct ongoing spay and release programs. Finally, educational programs will be held at our campus on subjects such as animal welfare, overpopulation issues, proper treatment of pets and the importance of preserving marine life. We are proud to say that this would be the first educational-based animal rescue center of its kind in the coastal region of Colombia!